May 22, 2015, 10 a.m. The four-year-old program has helped boost the newspaper’s events business and helped strengthen relationships with the community through nights of storytelling. By Justin Ellis @JustinNXT May 22, 2015, 10 a.m. In the beginning, Megan Finnerty knew she’d have to tell a story in front of a group of strangers. That’s not counting however many friends and assorted colleagues at The Arizona Republic she could draft into service on the first night of Arizona Storytellers. It was an experiment: gather community members together for a night of oral storytelling in an intimate setting and see how it works. The trick, of course, is that she would need to stack the deck with storytellers — including her. Now, almost four years later, Finnerty only has to jump in to tell a story rarely — there’s no shortage of people looking to talk now. “Getting storytellers to do this has been easier and easier as this has picked up momentum and people want to do it,” she said. 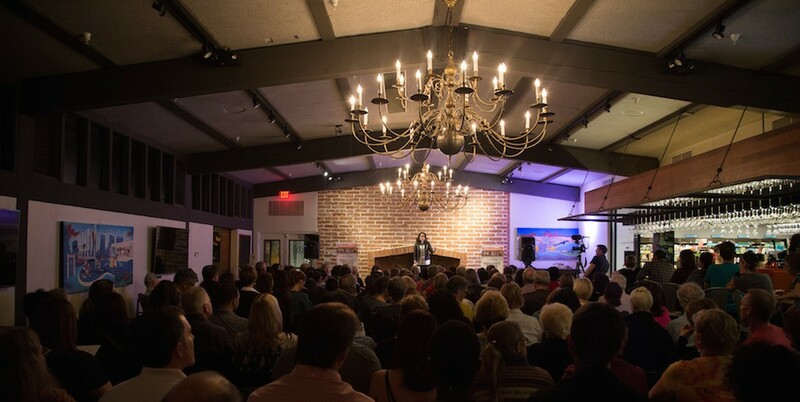 She estimates there were under 70 people on that first night; Arizona Storytellers now attracts sellout crowds, between 150 and 250 people depending on the venue. It’s a program that takes some lessons from the rise of popular storytelling series like The Moth or Mortified, which invite everyday people in to share their — sometimes heartwarming, other times hilarious — personal tales. What started as a small project has transformed into an important part of the Republic’s events and audience engagement plans. With about 16 events a year, Arizona Storytellers makes enough money from tickets and local sponsorships to cover its own costs and help the paper’s bottom line. Media companies around the world are busy developing event strategies on all levels, and while Arizona Storytellers has helped the Republic create new lines of revenue, it has also created stronger ties to the community. The program has not only put the paper in front of new audiences, but created new relationships with businesses, the local NPR affiliate, and the local community college. “Storytellers opened our eyes to the bigger opportunities and broader opportunities to build those personal, face-to-face connections with both our existing audience and exposing us to new audiences,” said Randy Lovely, senior vice president for news and audience development at the Republic. Arizona Storytellers started as a spinoff of a project that celebrated the state’s centennial in 2012. The video series captured stories from residents every day of the year leading up to the event. Finnerty, already a fan of shows like The Moth, saw an opportunity to expand into a more permanent series. Lovely said the paper wants to give space for people to be entrepreneurial in their thinking about new stories or projects. The positive early response was all they needed to put more resources into the events, he said. Figuring out logistics is one thing; in order for the program to be successful, it also had to create a unique experience for participants on both sides of the microphone. Finnerty said one of her motivations for starting Storytellers was to create space to share experiences that reflect the lives all kinds of Arizonans. “In the same way that journalists place an incredibly high premium on veracity in stories and proving what they know, we place a premium on emotional safety for the listeners,” she said. Storytellers follows a similar script to The Moth, allowing a select group of people to tell their stories within a time limit, coaching participants beforehand. Liz Warren, director of the storytelling institute at South Mountain Community College, got involved with the program close to the beginning. The institute held workshops with Republic staff to prepare readers to tell their stories as part of the centennial project. After Finnerty launched Storytellers as its own series, Warren started working with her to prepare participants to share their experiences. 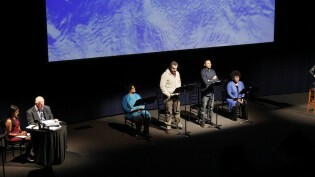 People are chosen by submissions to the Republic, followed by a session with Warren before their night in front of the microphone. Telling a story, especially in front of a crowd, is about creating pictures in people’s minds, something that feels grounded by more than a set of facts strung together, Warren said. The people who sign up for Storytellers come with all kinds of experience, so her job is to get the best out of them. “Mainly what they need is assurance that they have a real story and are ready to go,” she said. Collaboration has been a key to the success of Storytellers, Warren said, which has resulted in bigger and more diverse audiences taking part in the event. Those partnerships, with the community college or local NPR station KJZZ — which broadcasts excerpts from the events — are what help make it an inclusive community event, she said. “What Megan has been able to do with her partners, the themes, and now with the renown of the program in the community, is bring together all sorts of people who otherwise wouldn’t meet each other,” she said. While the Republic has held events in the past, Lovely said the strategy didn’t have many persistent, ongoing programs. Now they hold event series across different areas, including around Cardinals football during NFL season and a photography series with the Republic’s photo staff. Some are more focused on entertainment, while others will bring Republic journalists out into the community to discuss the news. At many events, they conduct surveys to find out how many attendees are Republic subscribers. Last summer, they found that almost 50 percent of people of attendees were not, Lovely said. But the overall goal of the events isn’t to increase the newspaper’s subscriber count. Lovely said establishing stronger connections between the Republic and the community will have greater benefits in the future, either for new products or creating new forms of engagement. It’s a different way of making the Republic relevant to people’s lives, he said. “What we’re seeing is that hopefully this helps change the perception of The Arizona Republic in the traditional sense and hopefully opens us up to new audiences,” Lovely said. Finnerty said they’ve already received interest from other papers in the Gannett chain who want to create their own version of Storytellers. As they’ve been drawing up blueprints for others, they’re also focusing on how they can continue to grow the event. Finnerty said they plan to do more themed events while also moving Storytellers to new venues and new audiences. That kind of outreach, mixed with a focus on sharing narratives about the community, is part of the mission of any newspaper, she said. Photos of Arizona Storytellers events by Dave Seibert/The Arizona Republic. POSTED May 22, 2015, 10 a.m.
Ellis, Justin. "Open-mic journalism: How The Arizona Republic found success with storytelling events." Nieman Journalism Lab. Nieman Foundation for Journalism at Harvard, 22 May. 2015. Web. 19 Apr. 2019. Ellis, Justin. 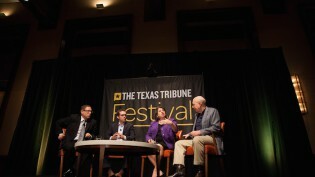 "Open-mic journalism: How The Arizona Republic found success with storytelling events." Nieman Journalism Lab. Last modified May 22, 2015. Accessed April 19, 2019. https://www.niemanlab.org/2015/05/open-mic-journalism-how-the-arizona-republic-found-success-with-storytelling-events/.